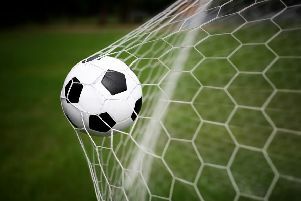 A new-look Selsey side controlled their Peter Bentley Cup tie at home to Midhurst from start to finish to make progress. Two goals from new striker Jake Goulding plus strikes from Ryan Morey and another debutant Ryan Hillier saw the Blues through to the next round, in which they will travel to Chichester City. Selsey handed debuts to Rob Madden, who marshalled the back four superbly, and Goulding, who could have doubled his tally with a little more luck, and gave cameos to other new signings Ryan Hillier, Scott Lister and Mike Abdo. Combining with the core of players from last season, they helped Selsey put in a solid performance to see off Midhurst, who are in the same Southern Combination division one as the Blues again this term. The sides’ SCFL campaigns begin this Saturday. Selsey host AFC Varndeanians while Midhurst go to Hailsham.